You are here: Home / 2012 / February / 16 / Look! A radicle! And no, that’s not a misspelling. 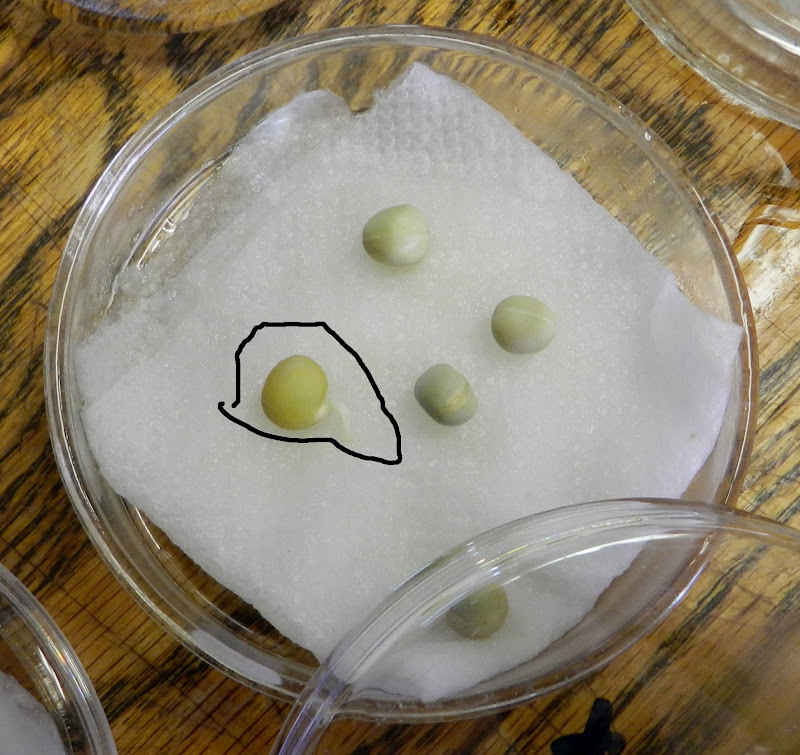 It’s emerging from the pea that’s circled.